Se-kyung knows the ending; it’s the same as Alice in Wonderland. The whole thing was a dream. And at that moment, Psycho-jo finds out that his father bought his painting – his illusion of self-sufficiency has burst and Se-kyung’s words finally make sense. 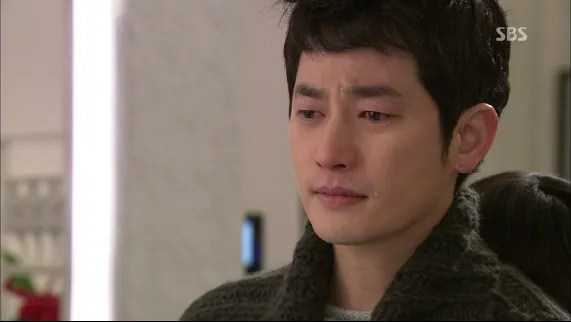 Yoon-joo says that she had been Psycho-jo, she would’ve thought it was his father because his father, a chaebol, would never have left his son living like that. Psycho-jo is skeptical that his father would watch over him. The man did, after all, make him sign a document to give up his inheritance. Yoon-joo is baffled by the fact that he’s never considered his father. It’s true that it may not have been his father, but shouldn’t he have considered his father first? She says that’s the difference between people like him (rich) and people like her (poor). She is scared by such opportunities; he isn’t. Psycho-jo remembers Se-kyung saying the same thing; he believes in good fortune whereas she doesn’t. Yoon-joo leaves and glances back as though saying goodbye. Then she glances around the expensive complex and heads home. In his apartment, Psycho-jo remembers accusing his father of thinking that he could never get by without him and his father asks if his revenge really succeeded. Psycho-jo wants to call his dad, but heads to the gallery where his paintings are hung instead. He discovers that his paintings were sold a few days ago. The person who originally donated it bought it; it was his son’s work. Psycho-jo storms into his father’s office, but Daddy Cha ain’t there. 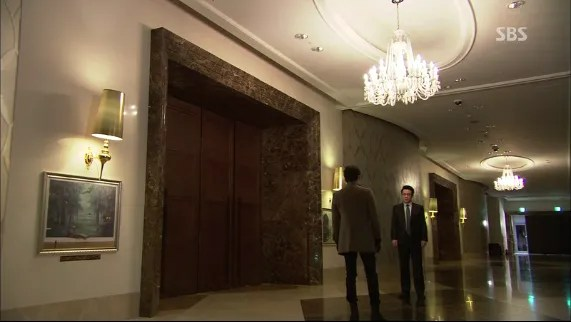 After searching furiously, Psycho-jo finds his paintings hanging on either side of a grand door with a placard indicating the title of the painting, the year and the artist: Cha Seung-jo. He remembers saying he was thankful to the buyer for letting him come this far. Se-kyung had said that kind of good fortune doesn’t happen to everyone and Yoon-joo said that his father would never leave him hanging. Psycho-jo realizes that everyone was right and that he’d been blind. His thoughts are interrupted by his father. He asks if his father bought it, and he says that he did; everyone said it was good. He admits with some embarrassment that he also anonymously bought it in 2008. When Psycho-jo asks why, Daddy Cha is genuinely confused. Psycho-jo wonders if Daddy Cha intended to map out his future by buying the painting. But daddy just hated seeing his kid suffer and knew Psycho-jo wouldn’t have taken the money if he’d just given it to him. Psycho-jo is furious that his father’s aid helped him get to this point. His father is confused why his son thinks so. He didn’t put Psycho-jo in Artemis or make him president. He’s trying to tell Psycho-jo that he made it to the top with his own strength, but Psycho-jo thinks that his father did it for fun. Daddy Cha is angry that his son is being like this. But Psycho-jo is completely thrown off; he ran for ten year in order to become an ordinary man instead of Royal Group’s heir. He wanted to live without his father’s help and by his own strength and skill. Daddy says that his skill was being born to a father like him. Others are bitter because they don’t have what he has; he’s bitter because he has it. Psycho-jo deflates. Without his father, no matter how hard he tries, he is nothing. 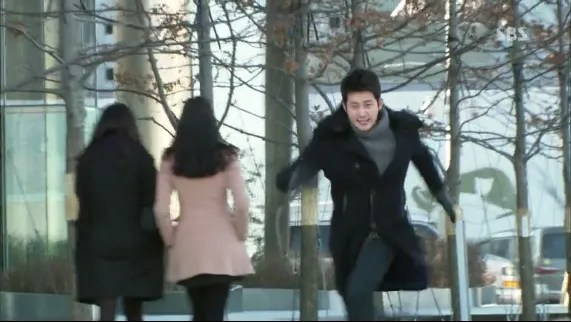 As Psycho-jo trudges away, his father says that Se-kyung told him that Psycho-jo wanted to be closer to him. Why did a person who wanted to be an artist go into business? Daddy admits he wanted to be closer to his son, not for a successor, but because he has a father’s heart that can’t see his own son starving. Psycho-jo walks away, overwhelmed by the confrontation. It was good for him. All the angst he felt was because of his insecurity. His father did have a hand in that, but he also didn’t bother to look beyond the surface. She receives a text from Yoon-joo. “Se-kyung ah, if we hadn’t met a few months ago, how do you think we would be doing right now? Would we have lived as you and I used to live? Maybe you would’ve been living as you used to live, but I wouldn’t have. This would’ve happened even if I hadn’t met you again. Tommy Hong said that he could see frustration and anger in you. I guess I had that as well in the beginning. But not too long ago, I only had anxiety. I should’ve been totally black but not have been intimidated. I will go back in again. I’ve let out all my frustrations. Now, it’s anger again. Yoon-joo primps herself in the car to meet Min-hyuk. She smiles and I see strength in her, not anxiety. Something has changed and I really like it. I wish I’d seen this in her character earlier. But I guess she had to reach a breaking point, huh? She meets with Min-hyuk who asks if she made her decision. With a cool smile, she reminds him that he said that she is not worth hundreds of millions of won to him. Then she tells him that he’s not worth billions to her. Okay, I know I was rooting for their marriage, but he turned out to be a douche, so I’m going to fist pump and cheer on Yoon-joo. FIGHTING! Min-hyuk is shocked by her declaration and even more surprised that she wants to divorce. She doesn’t want to be a GN person anymore. She leaves and struts down the hallway with a smile of satisfaction. She meets Assistant Manager Kim in the hallway and tells him to be well; he’s thrown off guard by her goodbye. Then she crosses paths with the she-monster, In-hwa. In-hwa says that Yoon-joo is lucky to get the chance to redeem herself to GN through Psycho-jo. 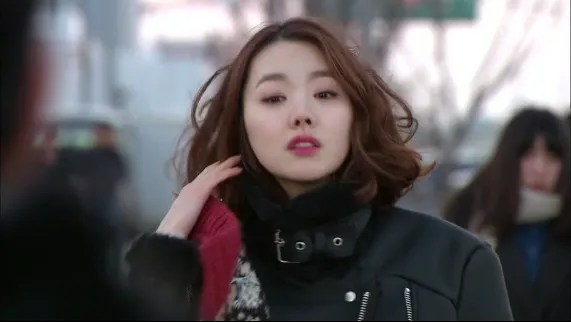 Yoon-joo smirks at the fact that In-hwa can’t stand the fact that a huge deal is riding on her shoulders. In-hwa admits she hates it, but can’t do anything about it because the deal is worth so much. Yoon-joo laughs with satisfaction and tells In-hwa to go in and cheer up her brother. She just told him she’s choosing divorce. With a smile, Yoon-joo leaves GN for good. Dong-wook frantically searches Psycho-jo’s apartment and finds him passed out drunk in bed. He tries to wake him and nearly panics until Psycho-jo opens his eyes. All he says is that he’s tired and needs sleep. He thinks about the luck he was born with for the millionth time. Dong-wook calls Daddy Cha to update him and promises to take care of him. The constant sleeping is his way of coping. So Daddy Cha caves and asks Se-kyung to help out. Aww, cute. Psycho-jo wakes up to the sound of a child crying. It’s him as a child being comforted by his mother before she left. He can barely see the pair straight. The illusion is interrupted by the doorbell. 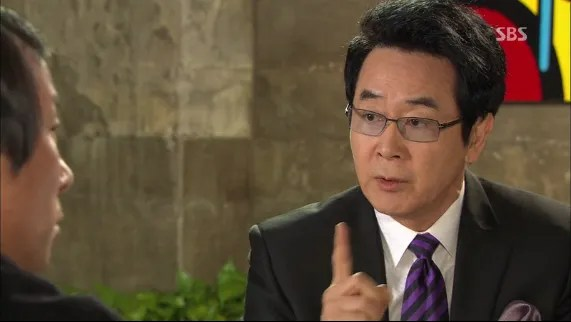 Se-kyung hurries in holding a notebook, fretting over the four empty wine bottles – he’s a person who can’t drink a lot. He asks if she came to taunt him. Everything she said was correct. Did Dong-wook and his father say he will die? Psycho-jo orders her to leave, but she stops him with a desperate back hug. He sheds a tear and turns to face her. She says that she loves him again and he pulls her into a hug. Psycho-jo is lying on the couch, asleep and calling Se-kyung’s name. He wakes and sees the empty bottles and the anju on the table. He thinks it was a dream and then Se-kyung comes in again, this time without a notebook. Like in his dream, she turns on the lights and he is surprised that she really came. Like in his dream, he asks if she came to mock him about being right. No, she came to break up. Didn’t they already break up? he asks. She says that they hadn’t to her. Also, she’d been wondering whether or not she can prove her love. She says she can do it, tell him she loves him every day. But there’s no way to prove it. Psycho-jo thinks that this is a nightmare. She tells him that it’s up to him because she can’t prove her love. Whether or not he can accept her is up to him. He says he can’t understand the Se-kyung who approached him for money. What happens if he can’t accept it? he asks. She tells him that there is nothing they can do. He agrees, love must be proven. But she doesn’t know how. He basically tells her that he and his father are loaded. If she can make as much, then she should come to him and tell him she loves him. Then it won’t be for money and love will be proven. Se-kyung understands although she looks utterly crushed. He wants to break up. She tells him to live well and leaves him baffled. He thinks that she broke everything, even his last fantasy. I guess he didn’t really want to break up, huh? Well then say it, fool! Grow a pair! Psycho-jo is feeling strangely calm after being left in his apartment. I bet you anything it’s because she proved herself without knowing she did. She was willing to leave him because she loved him. He knows everything now and it was his fully informed decision. I can see why he needed her love to be proven. It’s hard to differentiate between truth and lies when they are so inextricably woven together. But now that it’s been proven, I’m ready for some kissin’. I mean, after everything this show put me through, I should at LEAST get some Park Shi-hoo kissin’. I’m just sayin’. A little while later, Se-kyung somberly heads out to do some expensive shopping for her interview. She looks rather amazing. The girl has some killer legs! Then she meets with Ah-jung. She thinks that Psycho-jo would’ve liked for Se-kyung to say that she would prove her love no matter what. But Se-kyung doesn’t know how she would do that. You already did! You laid everything bare and let him decide. You gave him power when he felt used! Just wait for kissin’! Ah-jung doesn’t know how Se-kyung would do it. 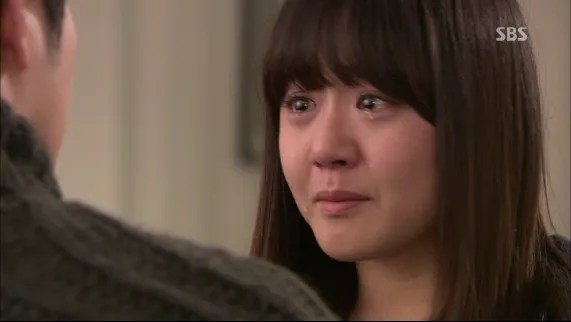 Se-kyung doubts that acting like Candy her whole life to satisfy Psycho-jo’s need for a pure love wouldn’ve lasted long. She wonders if there is such a thing as 100% love. Yoon-joo said love is a total concept/package: you love the person’s looks, knowledge, heart, personality. Love is all inclusive, you can’t just love one aspect of a person. Is Ah-jung any different? She says that she is. Although Se-kyung’s words are all true, Ah-jung would never say them aloud. Everyone knows that there is no 100% pure love, but no one would ever say it. They just live. And there’s the rub for me. No one says it because it’s not socially correct to say, “Hey, I’m poor. I’d love to marry someone I love and who can take care of me!” This is the idea the show should’ve explored better. I would’ve loved to hear more on what the chaebols and their sons and daughters had to say on it. Not just the mean, bitchy, competitive statements, but their honest understanding of socio-economic differences. Ah-jung then puts her hands to her cheeks and says she could never say that to “Jae-wook ssi.” Maybe when they break up. Se-kyung is confused and then figures out that Jae-wook is Secretary Moon. Ah-jung smiles guiltily. She couldn’t say anything because of everything Se-kyung was going through. Se-kyung is genuinely happy for her friend, and I do respect that about her. Then it’s time for her interview. Psycho-jo is preparing for interviews as well. Wait…is she really interviewing for his company? That would be foolish. Daddy Cha has shown up at Psycho-jo’s office and I’m nervous and hopeful. Luckily, hopeful was the right way to feel because Psycho-jo says the outlet deal is now being reviewed at Artemis’ head office. They talk splitting profits evenly and some other business boringness in this adorably awkward, friendly manner. Daddy Cha thought his son would never approach him again, but Psycho-jo seems surprisingly calm. Psycho-jo wisely says that business is business and daddy’s not the only one doing it. Daddy laughs to hear the word “business” out of his son’s mouth. He’s also heard that Psycho-jo is sleeping well, which, of course, makes Psycho-jo wonder why his dad is meeting with his shrink. But he actually heard it from the housekeeper. Then he tells his son to eat and sleep well, like a good Korean daddy. Awww. I love these two. Psycho-jo has to go for an interview and smiles shyly at his father before heading out. His father smiles softly to himself. Again, just aw. I’m a total daddy’s girl, so daddy relations always hit me RIGHT there. 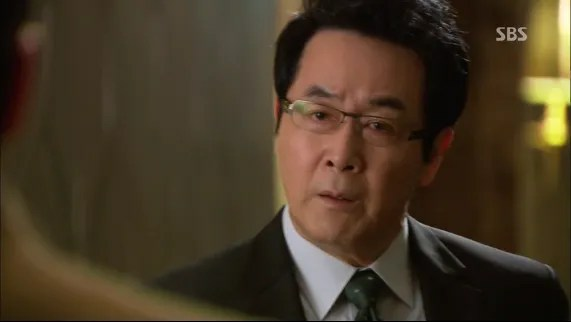 In the interview room, Psycho-jo sees an interviewee who’s family name is covered, but whose first name is “Se-kyung.” Secretary Moon says that it’s a common name. They begin the interviews. Se-kyung walks into a room where a woman and a man are conducting interviews while another woman, named Shin Se-kyung, appears before Psycho-jo. He notes her expensive purse. Se-kyung immediately gets B’s for her appearance. (Although the lady is wearing a similar outfit…) She then gets D’s for studying locally, despite graduating 2nd in her class, and having no experience abroad. Shin Se-kyung, who is interviewing with Psycho-jo, has experience studying abroad, but only in a short course. The other interviewer doesn’t look impressed, but Psycho-jo is pensive. He sees she won many awards and has good grades from university. She was also first place in her class. Why couldn’t she get a job for the past two years? She answers honestly that it was because she doesn’t have much experience abroad. That’s why she went for the short course. She’s also had lots of part-times and taken breaks because of tuition. She had to earn money for tuition because of her family’s situation. Psycho-jo points out that her outfit, in its entirety, amounts to nearly $10,000, which could’ve paid for school. She explains that over the past two years of job hunting, she realized one thing: manners are needed for interviews. The word “manners” confuses him, but she tells him that in interviewing for a fashion company, her appearance is paramount. It tells about her competence and discernment. He remembers one of his first encounters with Se-kyung: if she had expensive clothes and bags, her discernment wouldn’t have been considered poor. Shin Se-kyung leaves and makes Psycho-jo what score he would’ve given his Se-kyung had he met her a long time ago. This probably means he’ll score Shin Se-kyung with all the knowledge of a hard-working poor woman’s situation. Se-kyung’s interview is going better than her GN interview, but not much better. She only has awards and experience as a contract worker at GN with no overseas experience. They are ready to send her away when she says that she worked as a stylist. There is no written proof, but she brings out her notebook of designs and photographic evidence that she styled President Jean Thierry Cha of Artemis. The inteviewers realize she is his former fiancee and change their tune: now Se-kyung gets straight A’s. 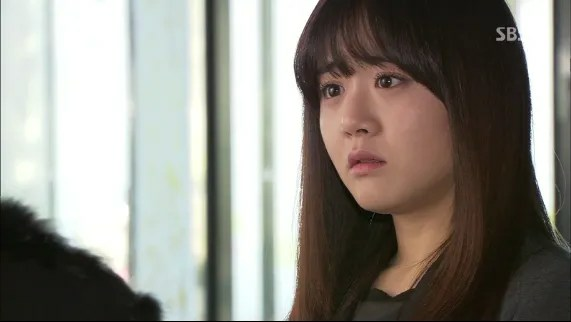 Se-kyung realizes that they must’ve changed her grade as a result of her still using Psycho-jo. Se-kyung leaves and comes across Tommy Hong. They go for a meal and DON’T TOUCH THE JUICY LOOKING BURGERS! That is a crime against humanity. How could they not eat those first and then talk? Okay, admittedly, I’m a huge carnivore. I love cows. Sorry cows, you’re cute, but I love the way you taste. Okay, sorry. I went a little crazy for a second. Tommy asks how the interview went and Se-kyung kinda glides over the answer. I think the truth of the industry still bothers her, but she’s used to it now. Also, she hasn’t been able to get in contact with Yoon-joo. Neither has Tommy. But he has a present for her, a book. It’s Alice in Wonderland. The real ending isn’t that she woke up from her dream, but her sister woke her from a dream and explains that it was only half a dream. Alice’s eyes were half-open. If she opens her eyes all the way, things will turn into reality, but while they’re half closed, she can be in Wonderland. Se-kyung thinks that Alice’s sister is an adult who knows it’s not true, but believes half of a dream and continues living. Se-kyung thinks that what being an adult is. Tommy smiles sadly at the greatly defeated Se-kyung. Outside, Psycho-jo passes on his way to work. In the jewelry store, a contract worker comes in to ask for a receipt, just like Se-kyung once did. It makes him smile. On his way home, he sees a familiar figure and realizes that it’s Yoon-joo. She’s dressed casually and her hair is kind of a mess. Seriously? She needs messy hair to be poor. Not cool, stylist. Not cool. Anyway, Psycho-jo and Yoon-joe smile at each other and she takes him to her modest apartment. He asks her about the chance she had spoken about last time but she says he doesn’t need to know now. It’s in the past. I like how happy she seems despite her status fall. It’s a bit humiliating for her, I think, but she’s genuinely happy. She’s definitely no longer a tick. She then asks if he broke up with Se-kyung. She assumes that it didn’t because there was nothing in the papers. Psycho-jo says that Se-kyung ran away because she couldn’t prove her love. This makes Yoon-joo laugh. How do you prove love? This time, he agrees with Yoon-joo. (Remember, before when he met with her he DID ask her to prove it.) When did he ask Se-kyung to prove it? “If I don’t see you, then I will die. I can’t live without you.” Saying something like that would’ve been fine. Yoon-joo disagrees. She bet he did ask Se-kyung to prove it because he was very untrusting. He was like that with Yoon-joo. But Psycho-jo says he’s no longer like that. He knows what reality is now. He tells her that the painting was purchased by his father out of genuine concern for him. Also, his father needed him for business. It was the same for Se-kyung: she liked him and what he had. In dramas, the heroine loves the man but has no interest in the man’s money. Psycho-jo doesn’t think that makes any sense. Yoon-joo smiles as he continues. Se-kyung helped him to realize all these truths. But what else would he have asked her to prove? Yoon-joo again smiles at him, pleased with his growth. Psycho-jo then apologizes to her for what he did. He was immature back then. But he’s not anymore. Yoon-joo says people don’t change that quickly. On the outside he acknowledges all these truths, but he must doubt them on the inside. He is not one to admit women have desires. If other people don’t know this about him, at least Yoon-joo does. Psycho-jo protests, but Yoon-joo continues. Se-kyung isn’t the type to ever run away. (Don’t we know it.) Ever since she was young, Se-kyung would fall, but never run away. Psycho-jo assumes that Se-kyung changed, too, because she definitely ran away first. Yoon-joo tells him that he must’ve pushed her out, telling her to prove her love. Psycho-jo denies it. He didn’t even say that in his dreams. Then he realizes something about dreams. He flashes back to the “dream” where Se-kyung confessed her love for him. He freaks out and Yoon-joo asks him what’s wrong. He realizes that it wasn’t a dream. She confessed her love and they hugged. He pulls away and asks her to prove it to him so that he can believe it. He wants to receive and give love so she should prove she loves him so that can happen. Crying, she asks him how to prove it. How can she show it? She liked Secretary Kim first and became even happier when she realized he was the president. She felt guilty about it all. It’s all true. It doesn’t mean she doesn’t love him. It just means that she is that kind of person. She wants him to understand. She brings out her notebook that holds her entire heart in the list she made. He shoves it away. After that she must’ve left and come back to decide the fate of her relationship. When he chose, she left for good. Psycho-jo leaves Yoon-joo’s place and remembers asking her to earn money and then come back and say that she loves him. Still, to this moment, he denies parts of reality. But this time around, he is willing to acknowledge that he does that. He did learn that over the course of the drama. So he hurries to Se-kyung’s place, but she isn’t there. Her sister, Se-jin, lets him in and he searches Se-kyung’s room for the notebook. He finds it, the drawings of the rabbits and the list. Psycho-jo reads the list and hears her voice reading them to him. While it’s being read, we see the parts of the drama that correspond to each number. Jean Thierry Cha likes Candy Han Se-kyung. However, I am no longer a Candy. The president doesn’t know that I have changed. The president liked the me before I changed. I have to act like the person I was before I changed. However, the person I have to commit to is not Secretary Kim, but the President Jean Thierry Cha. This is good fortune. It is winning the lottery. That is why I have to act like the Han Se-kyung before the change. I have to act like her. Psycho-jo puts down the notebook and tries to absorb this new information. The question is: will he run away again? Or will he do something about it? That will be the test of his growth or lack thereof. When he starts running, we can assume that he grew up! Se-kyung is introduced as an intern designer at her new company, Huluck. They clap for her. She gets her own desk and name tag. Hooray! She thinks that she went up one level thanks to Psycho-jo. She has to carry boxes, but she’s no longer a contract part-timer. As she walks down to deliver the box, Psycho-jo is running towards her. Se-kyung is still angry at the world, but now she realizes that she can’t show it. It’s just not the way society functions. She lived as Candy for 27 years and woke up from that dream because of So In-chan. After she woke up from that dream, she fell into another with Psycho-jo. Now she really woke up from her dream. She won’t dream again, pretending to be Candy. She’s already woken up. She’s just going to live as most people do. It’s a sad realization she’s come to, that she can’t dream for a better future. It’s like she’s Candy, but without the sweetness. She’s left with bitter. She heads into the lobby where she comes across Psycho-jo. They stare at each other for a long moment and she promises herself not to dream again. She has no time to play around as she is a new employee. He teases her that she’s deadly serious again (as she’d been as his stylist) and even makes that chicken noise I was so fond of. But it doesn’t make her smile. Instead, she looks even more somber and thinks that this is all a dream again. Psycho-jo thinks she’s too much, treating him like this. Isn’t she glad to see him? And he’s making that stupid face that I love and acting like the Psycho-jo I fell in love with at the beginning of the show. Where did you disappear to my crazy man? I MISSED YOU! Se-kyung keeps her straight face and asks again why he came, again silently promising herself not to dream again. Psycho-jo: You said you would show me everything. Se-kyung: I showed you everything. Psycho-jo: You said you wouldn’t run away. Se-kyung: I have never run away. Psycho-jo: You told me I can’t run away. Then why aren’t you holding onto me? Psycho-jo: You have never loved before, right? Psycho-jo: You have never received love properly before, right? But how do I prove my love? Does it make sense to leave because you can’t prove your love? Psycho-jo: You don’t have to prove it. It’s okay not to act. You said you can’t distinguish between sincerity and using. That Han Se-kyung from before and the Han Se-kyung who changed, can you distinguish? I can’t either. Se-kyung melts as he tells her it doesn’t matter anymore. He likes the woman in front of him. I still think telling the truth, giving her all and then letting him decide is what proved it to him in the end. She didn’t force anything on him anymore, not after he had learned everything. She let him come to his own conclusions. That’s important. Anywho, Se-kyung looks like she’s about to melt into a puddle of goo and then he hugs her. She accepts his embrace and returns it. Then she pulls away. She asks if he can believe her, and silently wonders if she doesn’t have to pretend anymore. He promises to try hard, although inwardly he’s still a bit unsure. She asks if he understands her and silently thinks she can’t understand him completely. He wants to understand her and silently thinks that for the first time, he wants to understand someone other than himself. And the 1,002,100,000,000 won? He smiles and tells her he’ll make her earn it. When she laughs, he asks why. “Are you proposing to me now?” she wonders. Then he says he has something he’s been dying to say this to her forever. He turns away from her and then back and finally makes his Winston Churchill speech, complete with wagging finger and overacting. I need you, Psycho-jo finishes with a smile that fades. I need you because I love you, Se-kyung ssi. Now he can’t distinguish either. He touches her cheek tenderly and I finally get my kiss. It’s an awesome one! First a cute little one, and then a nice one with love of heart palpitations on my part. My question is: how is no one staring at them; they’re making out in the middle of a lobby! Tommy guesses she had a chance to stay in Cheongdam-dong she didn’t take. She wonders if he’s mocking her, but he merely asks why she didn’t take it. Yoon-joo thinks he’ll laugh if she tells him why. He wants to know anyway. She got angry. She got angry at them. She wanted to do something, but there wasn’t a way to do it. That is, until the chance to destroy business worth hundreds of millions of won cropped up. He laughs and says that it must’ve been so satisfying. Se-kyung told her that being poor regardless of how hard one tries makes one have to be mad at the world. Yoon-joo thinks she was really cool at that moment. Now she wonders why she did it. Tommy asks if she regrets it and she does. She has to wear PAZ patches every day. It’s not easy at all. Even so, Tommy notes, her mind seems to be at ease. Yoon-joo says her body needs to be at ease in order for her mind to be at ease. She went crazy for a moment, possessed by Han Se-kyung. She thought she’d succeed if she came out and worked. But it’s not working. And Tommy? He’s lost all his matchmaking clients. But he hated it, it was a bit demeaning. Ho-min comes so that they can catch their bus. Yoon-joo hands Tommy her card, asking for recommendations. She pauses before she goes to ask about Se-kyung. Tommy says she’s seeing Psycho-jo again. Yoon-joo is genuinely happy for her; and she’s successful at doing things her way. Tommy wonders if people like them can be happy. After a movie ends well, there is always life after that. Honestly, after all that talk, the point is that they’re smiling, they’re relieved of their huge burden. They have regrets, but who doesn’t? Lying burdens the soul, people. “My Way” plays in the background as Daddy Cha meets with Se-kyung’s parents. He wants them to move into Cheongdam-dong. The place he has for them is conveniently near Cheongdam station. Se-kyung’s dad doesn’t like it at all. Does he have to do this because Se-kyung got married? Daddy Cha frets about the reporters coming and taking pictures. 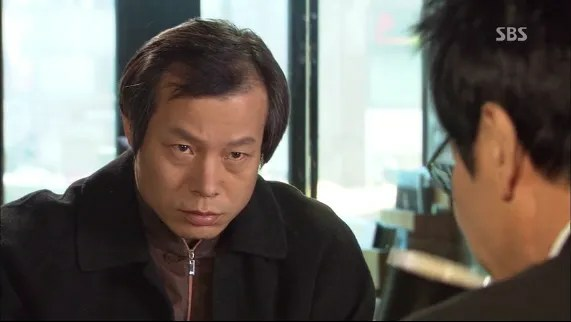 But Se-kyung’s father hates hearing that he sold his daughter to a rich family. Daddy Cha mutters about Se-kyung’s father being proud about having nothing. 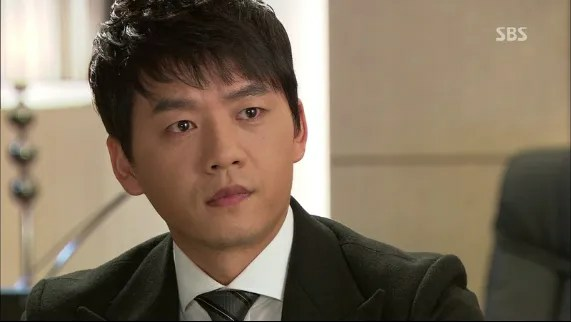 He apologizes and asks Se-kyung’s mother to help convince him. But she says that it wouldn’t work. Daddy Cha says that they’re both the same and wags his finger at them. The fathers glare at each other. How many people went “WTF?” at the ending? It was happy and they were cute, but that narrative? Here’s my take on the eyes half-closed business. I’m going to try to make sense of it, ’cause my brain needs a little bit of logic, even if I have to provide it myself. Adults dream of a life that they want but it’s hard to believe in a dream becoming reality because reality is so difficult. Alice’s sister was an adult who half-woke Alice from her dream of Wonderland. Alice’s eyes were still half-closed. Then Alice’s sister fell into a half-dream as well and let herself stay there. What the hell does that mean? Well, to me that means that Alice’s sister is letting herself dream for a better future as she lives in the real world. And for Se-kyung that means that she won’t beat herself up for wanting to marry for both love and money. She can have her dream of love and the reality of physical comfort. If she “wakes up” and beats herself up for being FLIPPING HUMAN than the dream will vanish and she’ll be unhappy. In Psycho-jo’s case, he woke from a nightmare and actually faced reality. His insecurities lessened a very, very, very little bit. But at least he is acknowledging his own faults and will work on that insecurity together with Se-kyung and his father. I’m hoping he becomes stronger now that he has a support system in his life. I mean, he lived ten years alone, wandering and working and depending on a stranger as a father-figure. I wish I had seen more clearly what Psycho-jo’s role was in the Alice in Wonderland theme. White Rabbit? Mad Hatter? The show said it was Alice-themed, but that theme was lost more than half the time. Then they brought it back in the last few episodes as an afterthought. And Psycho-jo, he had such a good premise: insecure, battered and broken, funny, earnest, a little cooky. 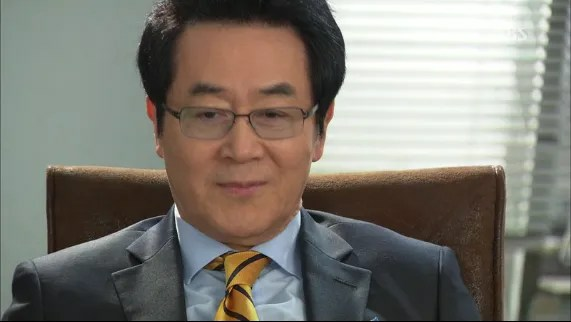 He would’ve been the bridge between Se-kyung and Cheongdam-dong (i.e. the White Rabbit) because of his experiences with poverty and his love for her and his overall personality. Instead the story became convoluted with too much unrealistic insecurity on his part. His character was so deeply entrenched into his delusions that any kind of character growth (or lack thereof) seemed awkward and didn’t flow. I wish he’d had a bit more awareness of reality. I mean, wouldn’t a man who is a very successful business man have some kind of grasp on it? And what happened to his business ethic? That hardball way of jacking up prices and keeping the quality of his products ridiculously high? I thought that would enter into things and maybe cause some conflict. Also, I’m unsatisfied with Yoon-joo’s conclusion. She got angry and ruined some business and now she regrets it and isn’t happy? Well then why does she look happier and more relaxed than ever? She needs to admit that living a “good” life based on a lie is not really a good life at all. It’s based on lies, which make every second of every day tense and fraught with worry. Although she has to work hard now, she’s free of the shackles that her deceit put on her. Let me say again that having Dong-wook as Psycho-jo’s therapist is ALL kinds of unethical. I also wish they had made Dong-wook and all the side characters stand on their own. They were seriously there to reveal tidbits that the writer wanted revealed or as plotmovers. Ah-jung, Dong-wook, Secretary Moon, Driver Kim, Se-kyung’s family. At least Daddy Cha had some meat to his role. In terms of development, he was probably the most solid character. 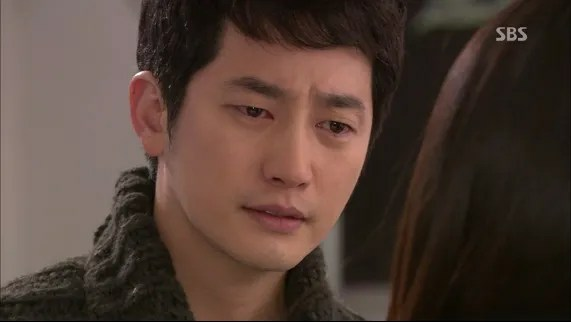 In terms of acting, Park Shi-hoo and Moon Geun-young really fleshed out the characters as best they could. 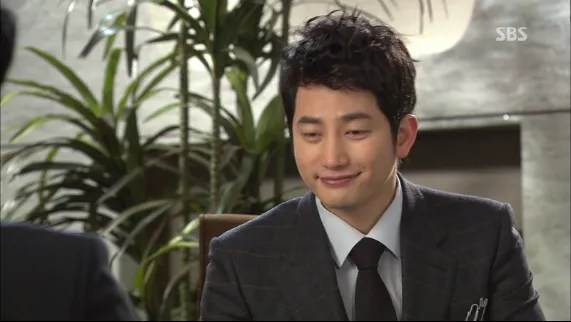 Park Shi-hoo’s Psycho-jo was loveable, laughable, pitiable, handsome, wonderful. 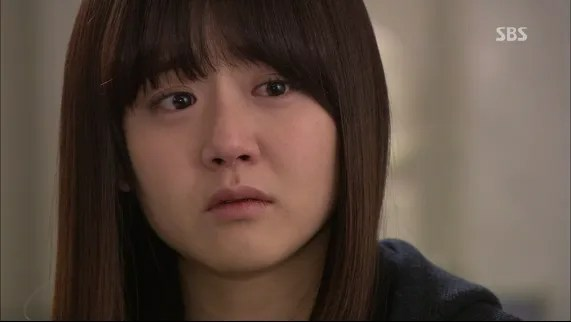 Moon Geun-young’s Se-kyung was pitiable, hateful, adorable, confusing. The two actors did what they could with what they were given and I praise them for that. I seriously SCOLD the writer for giving them less than they deserve. When you have two powerhouse leads, you need to USE them properly. They made your story better than it was. So E-hyun’s Yoon-joo was best at the end when she was allowed to be natural. The 61,000 moments of “shock” that she had throughout the show were mostly overacted. Her scenes with Moon Geun-young and Park Shi-hoo were pretty natural. The character was probably the other character, besides Daddy Cha’s, that really had some understandable growth. Except for the ending…I guess it’s normal to regret being ridiculously wealthy when you’ve fallen to working class. I’m just sad the writers didn’t point out that she was actually happy. They tried to have Tommy ask a few times if she was, but she kept circumventing the question. The parents, especially Daddy Cha, were played well, as were Dong-wook and Secretary Moon and Ah-jung. All of the actors are solid and were very badly underused. What. was. that?! Seriously. Yes, the problems were veritable problems. But they were blown up to gigantic proportions. Se-kyung should’ve approached Psycho-jo with the truth when she found out. She didn’t even have to bring up the love/money issue. Or she could’ve. Whatever she wanted. But the whole thing was not worth as many episodes as it was given. Or the video. Or In-hwa’s petty jealousy. I wish they could’ve found a different way to explore the love/money issue. Perhaps Psycho-jo could’ve discovered her friendship with Yoon-joo earlier. That would’ve definitely brought the question to light and also brought in the problem of meeting his ex in this new light. They didn’t explain why he felt calm after Se-kyung finally left him. Annoying. I like the exploration of the love/money issue and, like I said before, they should’ve had characters on both sides of the poverty line give opinions and put them in situations where worlds would ACTUALLY collide. Or with the painting, what a huge overreaction. The situation was drawn out too long. Yes, it’s a shock. Yes, it points out that money takes care of its own, and I do like that it showed that, but they really needed to show it more effectively. The whole thing was so convoluted I can barely thing of how they’d do that. At first I thought this was going to be about her actually marrying into Cheongdam-dong and working things out in marriage and society, much like Yoon-joo had. I think it might’ve been better to do it that way. Or have her and Yoon-joo in a similar situation with different endings to point out how people deal with things effects the outcome. Did I enjoy myself? Sometimes. I probably would’ve enjoyed it more if I wasn’t recapping and trying to find something to analyze and trying to make sense of something that mostly didn’t make sense. Would I watch it again? Probably not. Well, if it didn’t have Park Shi-hoo. But I love Park Shi-hoo, so I probably would watch it. This show had a whole lot of potential and ended up with a whole lotta nuthin’. The last episode really explored the love/money thing in a way I could appreciate. At least before Yoon-joo’s last scene came in. Se-kyung and Psycho-jo were still unsure, but decided to work together anyway, knowing everything about each other. And what more can you ask of your significant other? I liked that message. Everything is on the table and despite doubts, you work together anyway. What in life in certain? But the messages weren’t clearly delivered. Have you ever heard that fiction has to make more sense than reality? Well, it does. It’s just how the fiction vehicle works. This story did not make sense. However cute uri Psycho-jo was…heh. Rating: 6/10 for uri Shi-hoo oppa. Cheongdam-dong Alice Episode 16 (final) Screencaps. I literally choked with laughter on your first line of the character description for Se-kyung. Bad acting? No. Bad script and story line, flow? Definitely. Were there moments that made me laugh? Definitely (and those are the parts I’d watch again)! Was a disappointed? Abso-freaking-lutely! As a UBER fan of MGY and a mini UBER fan of PSH, it just could have been better. I personally thought the script was schizo! The directional flow was all over the place (kind of like 7GCS). This is where Can Love Become Money did it better. You almost had the identical situation and I can tell you, I was more pleased with that than CDDA. But can I say, I want those dang gone rabbits?!!!! 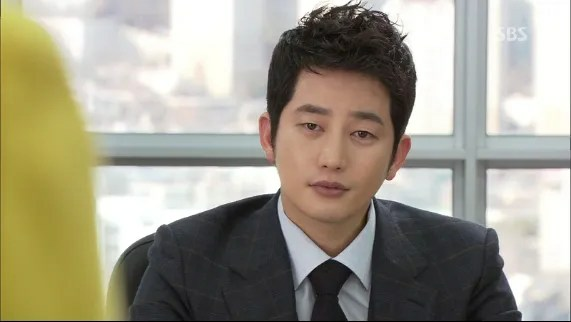 to be blunt about it,i say that mgy is the letdown in this rom-com.psh has delivered as well as the other actors.psycho jo is psycho jo!how i love si hoossi!!! 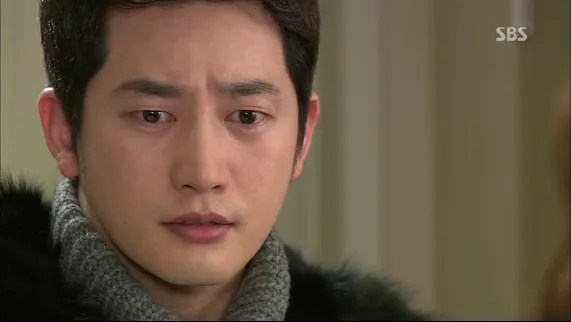 as for the storyline,oh well,CDDA is just so-so for me.not bad but not unforgettable,too.it’s entertaining enough to make me wait for the weekend.lol but it’s only because i wanna watch psh!i’m soohhh insanely in love with this guy! Metas are only metas if they actually reflect the thing they’re metaing…Alice in WonderWHAT?! CDDA isn’t really bad but it isn’t well, worth watching the nnnth time for a psh drama. but i adore psh so that’s enough reason for me to watch it again.lol just psh galore pour moi!! !